Sampler states define texture sampling operations such as texture addressing and texture filtering. Some sampler states set-up vertex processing, and some set-up pixel processing. Sampler states can be saved and restored using stateblocks (see State Blocks Save and Restore State (Direct3D 9)). Texture-address mode for the u coordinate. The default is D3DTADDRESS_WRAP. For more information, see D3DTEXTUREADDRESS. Texture-address mode for the v coordinate. The default is D3DTADDRESS_WRAP. 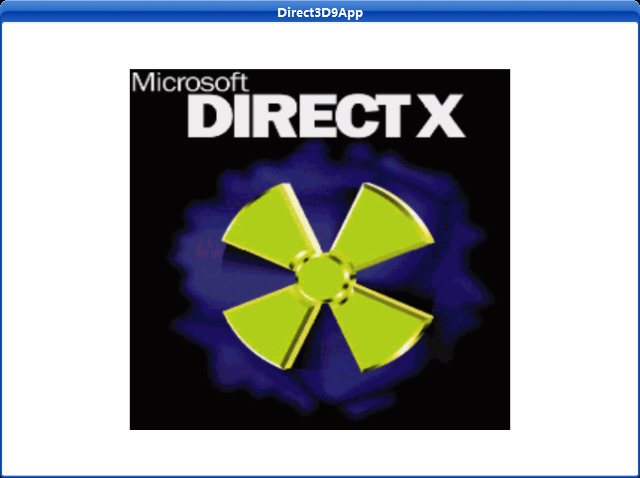 For more information, see D3DTEXTUREADDRESS. Texture-address mode for the w coordinate. The default is D3DTADDRESS_WRAP. For more information, see D3DTEXTUREADDRESS. Border color or type D3DCOLOR. The default color is 0x00000000. Magnification filter of type D3DTEXTUREFILTERTYPE. 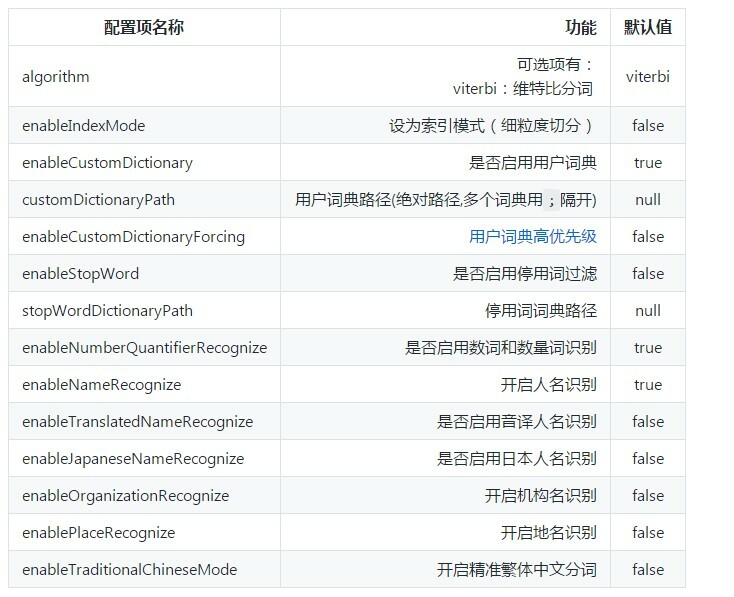 The default value is D3DTEXF_POINT. 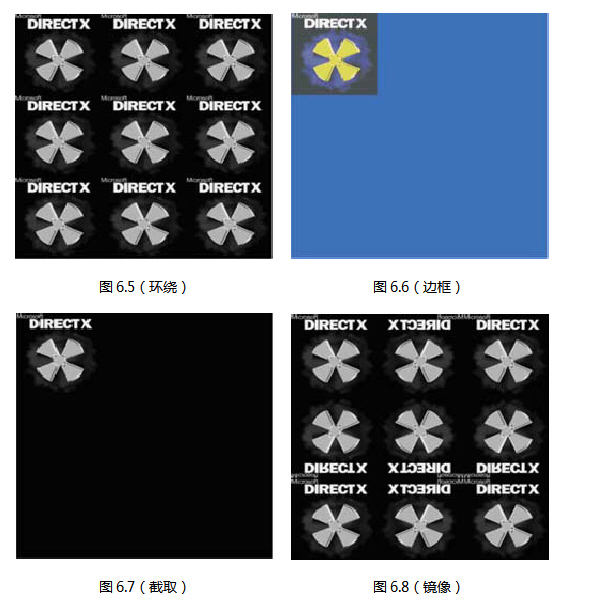 Minification filter of type D3DTEXTUREFILTERTYPE. The default value is D3DTEXF_POINT. Mipmap filter to use during minification. See D3DTEXTUREFILTERTYPE. The default value is D3DTEXF_NONE. 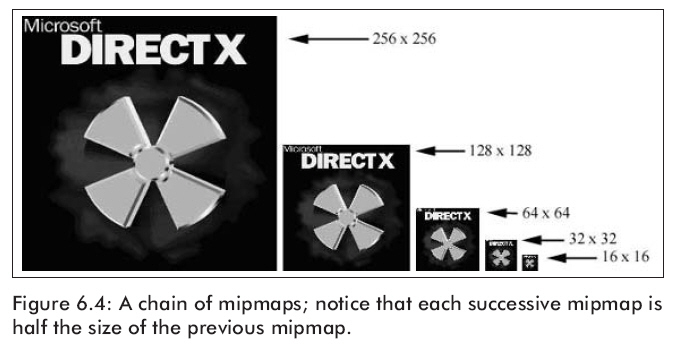 Mipmap level-of-detail bias. The default value is zero. level-of-detail index of largest map to use. Values range from 0 to (n - 1) where 0 is the largest. The default value is zero. DWORD maximum anisotropy. The default value is 1. Gamma correction value. The default value is 0, which means gamma is 1.0 and no correction is required. Otherwise, this value means that the sampler should assume gamma of 2.2 on the content and convert it to linear (gamma 1.0) before presenting it to the pixel shader. When a multielement texture is assigned to the sampler, this indicates which element index to use. The default value is 0. Vertex offset in the presampled displacement map. This is a constant used by the tessellator, its default value is 0.
enabling a texture, and texture coordinates. // quad built from two triangles, note texture coordinate.